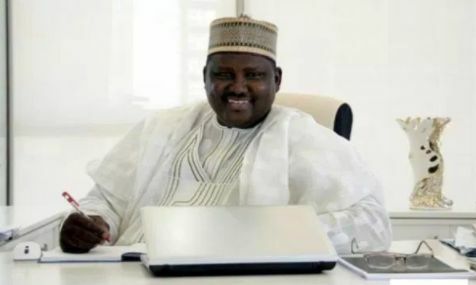 Mr. Mohammed Katu, the legal counsel for the former Chairman, Presidential Pension Reform Task Team, Abdulrasheed Maina, told the House of Reps on Thursday that his client was still receiving salaries despite the report that he had been dismissed from service. He also claimed that Maina treated official files up to last month (October). Maina was not present as an ad hoc committee of the House opened its investigative hearing into the disappearance and reinstatement of the fugitive into the public service in Abuja. The committee is chaired by a member of the APC from Kano State, Mr. Aliyu Madaki. Katu said his client was not dismissed from service and that he only sought judicial intervention in 2013 when he realised that there was a move to dismiss him from service. He added that while the litigation was in progress, Maina “disappeared” from Nigeria because his life was in danger. However, when a member of the committee, Mrs. Ayo Omidiran, quoted a 2014 letter Maina wrote to the Federal Civil Service Commission, pleading for a review of his dismissal, Katu insisted that his client was still in service. Omidiran stated, “We are not children here, and let the impression not be created that those of us sitting on this committee do not know what we are doing. “If Maina wrote to the FCSC to appeal for a review of his dismissal, why would you be saying that he was not dismissed? When asked again, Katu insisted that as far as his client was concerned, he was still in the service.